In The Hay Wain John Constable chose to paint a rural landscape which runs into the distance in sun-drenched meadows, offset by the cool waters of the pool in the foreground. The theme of this painting is very much rural life and the beauty of the landscape which the artist loved so much. The Hay Wain is based on a site near Flatford on the river Stour, in Suffolk, England. The hay wain itself is a type of horse-drawn cart which would have been a common piece of agricultural equipment used during the artist's youth. The cottage in the left of the image was rented by a farmer and stands behind Flatford Mill, owned by Constable's father. Across the meadow in the distance on the right, a group of haymakers can be seen working. The farm workers are hard at work but seem contended and are surrounded by beautiful scenery. All of these aspects illustrate Constable's idyllic view of his home county of Suffolk. However idyllic Constable's view of rural England was throughout his career it's unlikely that there was as much calm and happiness in the countryside during this period. Due to the onset of the Industrial Revolution in the 19th century, many rural people found themselves out of jobs as farming work became more industrialized and machines reduced the man power needed to harvest and maintain crops and animals. Large areas of Britain also saw uprisings and riots amongst the rural communities that were affected by the job losses. It may be that Constable did not paint images of these problems because he did not want to draw attention away from the natural landscape itself. In The Hay Wain the workers happily fit in with nature and live in harmony with the area. On the other hand the admission of the true relationship farm workers had with the land could have been because the industrial revolution simply didn't affect Constable; he came from a wealthy family and the revolution only served to make the rich richer. Through family friends and business associates Constable was exposed to what was considered the best art of his day and this led to him developing his own painting style which is illustrated in The Hay Wain. Unlike the symmetrical and classical landscapes of Claude Lorrain, widely considered to be the pinnacle of landscape painting even up to Constable's day, The Hay Wain is portrayed as a real scene and therefore symmetry is not as important as realism in the piece. Instead Constable sketched what he saw and ultimately what he knew well, having lived near this farm as a boy. 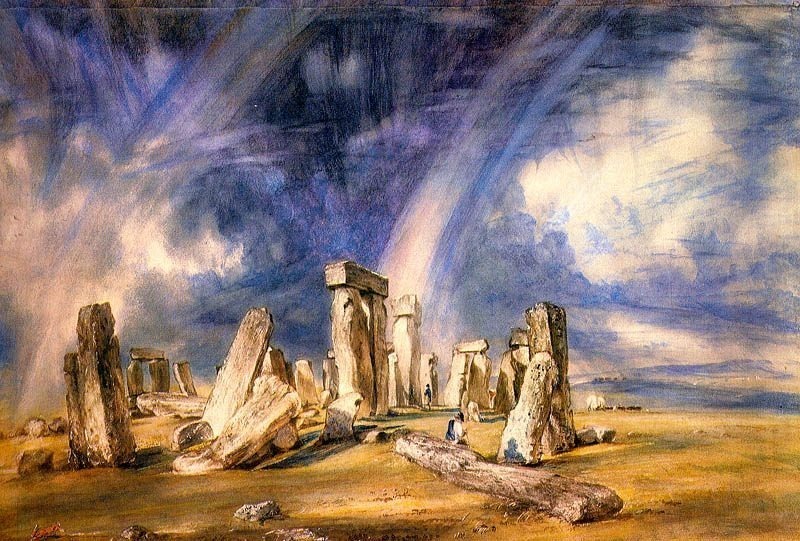 Complete and perfect beauty- something that could only be created in a mythical or biblical world - was popular during Constable's time. The artist painted nature as it was, and his work was a breath of fresh air in an art world full of over-dramatic and stylized landscapes. In keeping with the artist's love of nature, natural tones are predominant in The Hay wain and there is contrast between the pool of water, the tall delicate trees and the strong brick house to the left. The different tones all complement each other and are repeated to add harmony to this piece: the blue of the pool is reflected in the sky and the red of the house is highlighted subtly in the trees and in the harness of the horse. The trees and grass encircle the whole composition with relief from the yellow meadows disappearing to the right which help to stop the painting from seeming closed in or too claustrophobic. 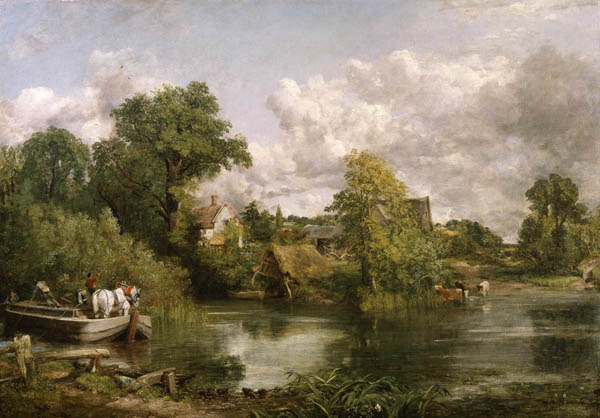 The Hay Wain represents a near-perfect English summer day and Constable accomplishes this by using natural light and painting realistically from his sketches of the scene. As a young boy Constable often went out "skying", sketching the clouds and sky to perfect his technique. One of Constable's most innovative techniques was to create light on water by using white paint as a highlight. This technique can be seen in The Hay Wain as the water from the stream in the foreground is disturbed by the wheels of the hay wain itself. Although Constable is famous for being one of the first landscape painters to create canvases purely based on nature, he did not paint The Hay Wain on site. 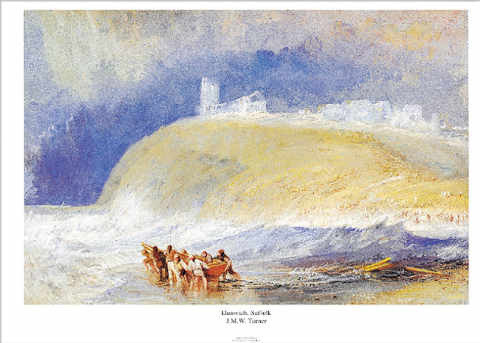 Instead he created several sketches in the summer of 1821 and produced the finished oil version in his London studio in the winter of the same year. 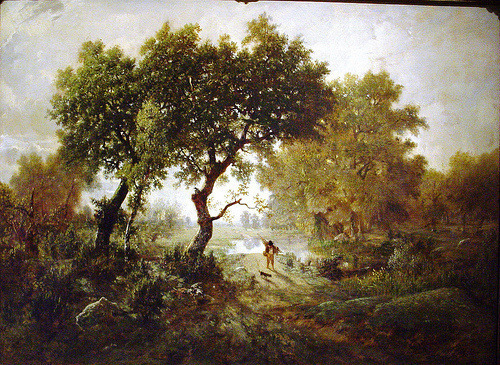 This technique was commonly used by Constable and of course it helped that he knew the landscapes he was painting very well, having spent his childhood in the same area, and he often added details from memory. Constable's work was not very well received by his contemporaries in Britain, who believed that the ideal landscape should mirror those of Claude Lorrain. Also, they didn't appreciate Constable's innovative used of the "impasto" technique. 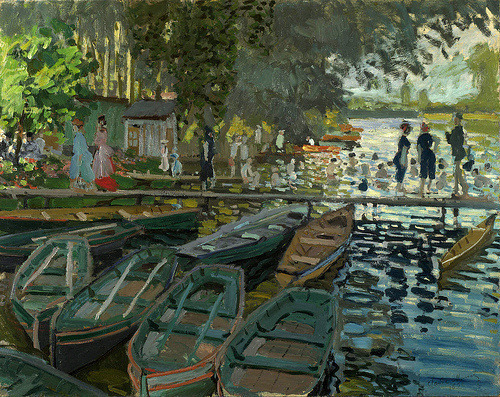 The artist's success on continental Europe however established his reputation and allowed him to finally make money from his art. Constable first exhibited The Hay Wain in 1823 at the Royal Academy in London. The painting was not well received and did not find a buyer during the exhibition but this is typical of Constable's work during the 19th century in a country which did not appreciate his new style of painting or the subjects he chose. After the Royal Academy exhibition Constable sent this painting to France, where he was asked to exhibit a number of pieces at the Paris Salon in 1824. The Hay Wain proved to be a great success and inspired local artists such as Delacroix and Corot. 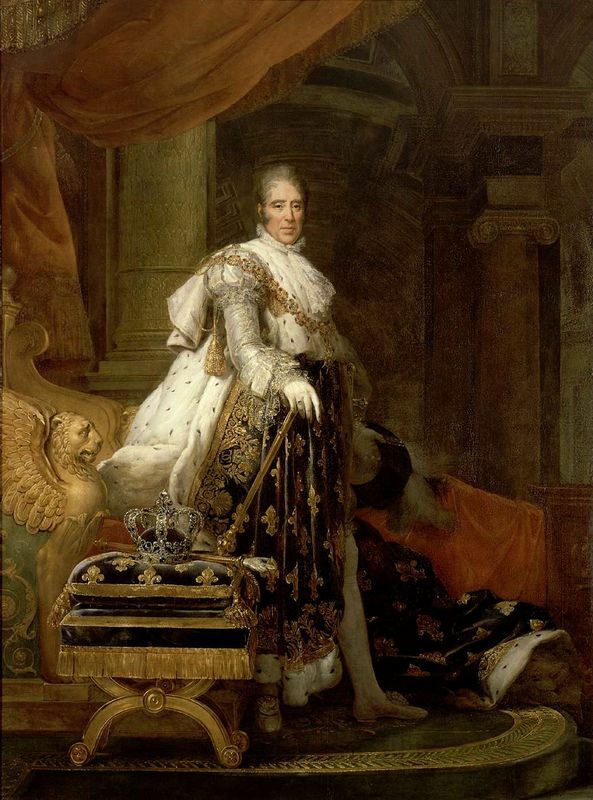 In fact it was such a success that Charles X saw fit to award it the Gold Medal of the exhibition. Constable's work would go on to influence Impressionist artists almost 50 years later in the same city. Today The Hay Wain is considered to be one of Constable's best known and most skilled works. 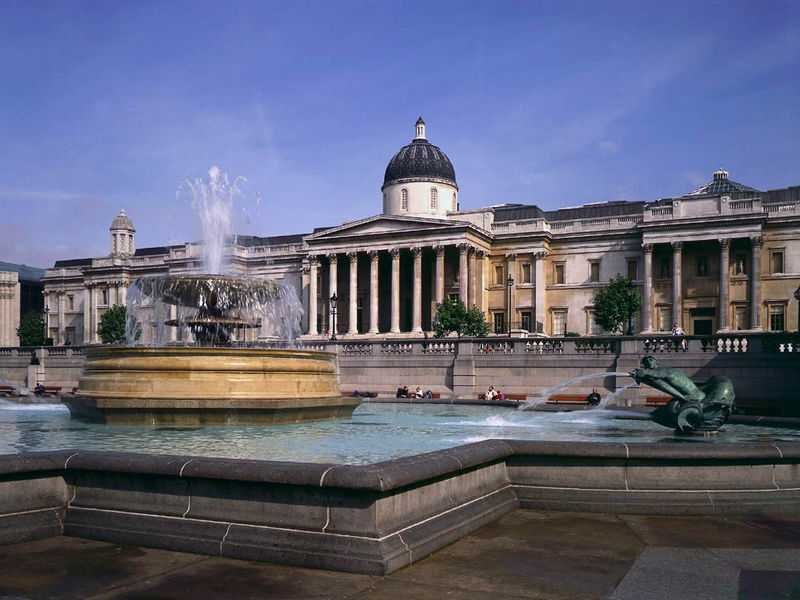 It is currently owned by The National Gallery in London and has featured in a number of exhibitions across the country. Below are some examples of works related to The Hay Wain. The Hay Wain is currently housed in The National Gallery in London, England. It was presented to the gallery by Henry Vaughan in 1886. 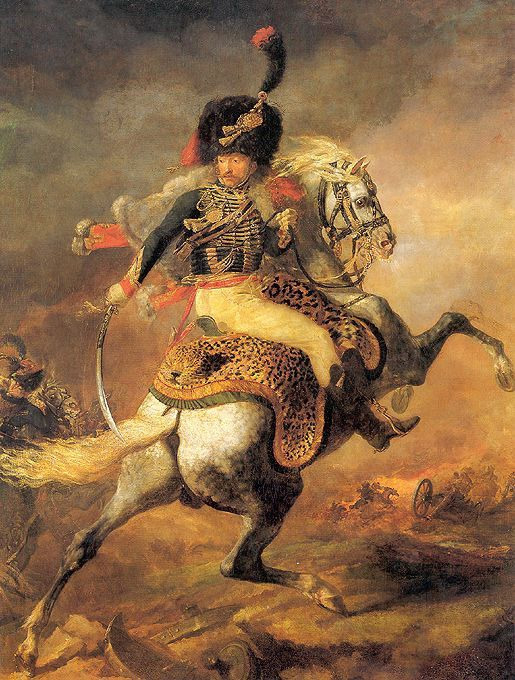 Prior to that it had been exhibited in Paris, France, where the artist was awarded a Gold Medal by King Charles X. The Hay Wain is one of John Constable's most famous paintings and in it all of the innovative and creative devices which made this artist's work so different from his contemporaries are evident. One of the artist's "six footers", this work was produced on a very large scale which meant that he could add a lot of detail to the piece. 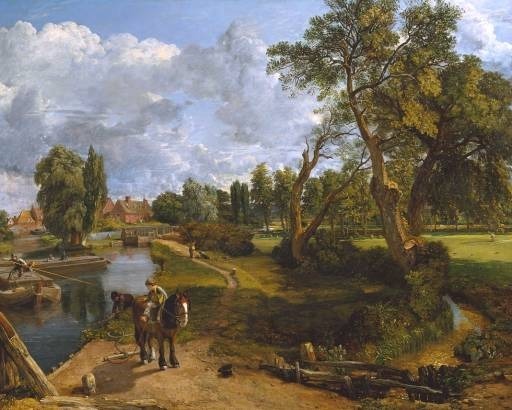 The Hay Wain is situated near Flatford in Suffolk, England, a site which is still very much as Constable's portrayed it. This artwork is another example of Constable illustrating an idealistic English countryside, in which hardworking but happy farm workers go about their everyday business. 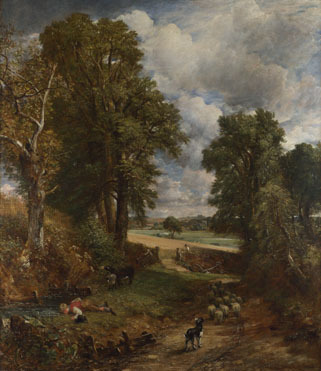 Constable produced many works depicting the English countryside and this theme inspired a great number of other artists. Furthermore, Constable's innovative technique and his influence on the French Impressionist movement after his death cannot be denied. Constable spent most of his youth in Suffolk, sketching the landscape which would feature in all his canvases as an adult. Although Constable started to display at the Royal Academy by 1806 he did not sell a painting until he was 39 and remained unpopular in his native England until after his death. 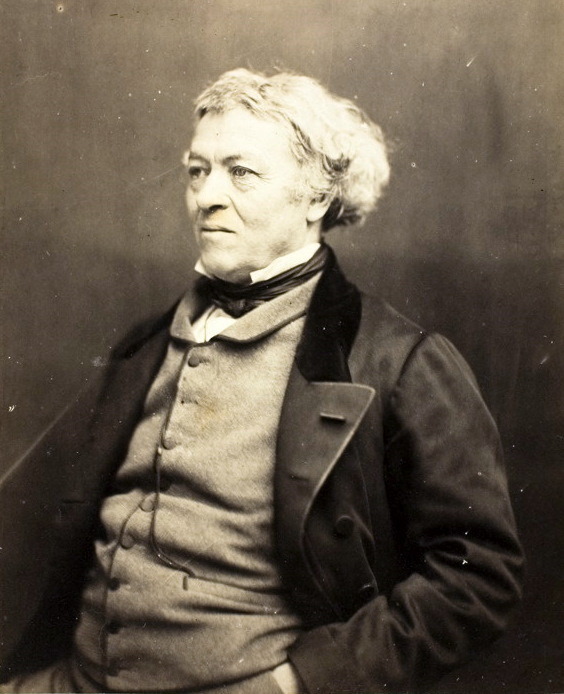 Luckily for Constable, French patrons found his work much more appealing and he began to sell a lot of work in Paris. Although he was popular outside of his own country Constable never left England and only ever painted landscapes of his beloved Suffolk.